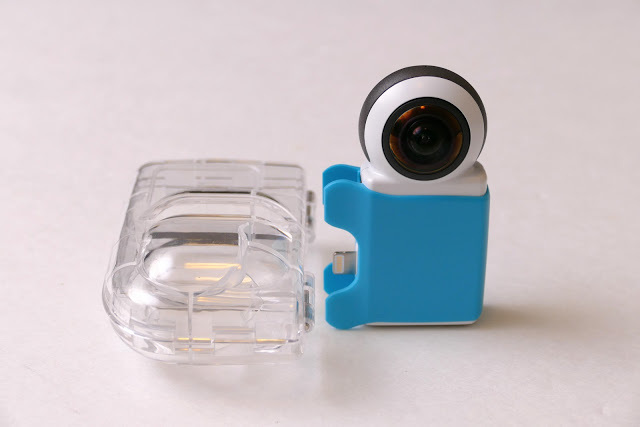 Giroptic has updated the firmware for the iO to add photo stabilization. They also said that they would be adding video stabilization “soon”! The Giroptic iO is a 360 camera accessory for both iOS and Android (the Android version is being shipped very soon). The Giroptic iO is targeted toward beginners and casual users, and is the easiest, most user-friendly 360 camera I’ve tried. You don’t have to do any stitching at all for photos or videos, which are stored in your phone, ready to be shared. Giroptic has now added image stabilization to photos in its latest firmware update. This means that photos from the iO will always be vertical regardless of the physical position of the camera. In addition, the live preview will also be stabilized in realtime. Updating the firmware for the iO is easy. Assuming your app is updated (which should be automatic on iOS), you’ll be notified about the firmware update the next time you plug your iO to your phone. You tap on OK and the firmware update happens automatically. The app recommends that you put your phone on Airplane Mode to avoid interruptions to the firmware update. I tried the photo stabilization feature and it works as promised. The live preview shows a stabilized view and it worked very reliably. It even works with the phone sideways in landscape mode. Among other things, that will make it possible to use the iO and your phone with standard tripod adapters and many other smartphone accessories. By default, stabilization will always be active. However, stabilization can be turned off in the Settings. You can also use the Settings to specify whether your camera lens will be on the left side or on the right side of your phone. Giroptic also said that gyro-based video stabilization would be coming soon to the iO! If it works as well as the stabilized live preview on photos, then it will work really well. One thing I’m not sure about yet is whether the stabilization will also work for live streaming. I’ll update this post when I find out. In any case, this is an amazing and very useful feature that makes the iO even more attractive.